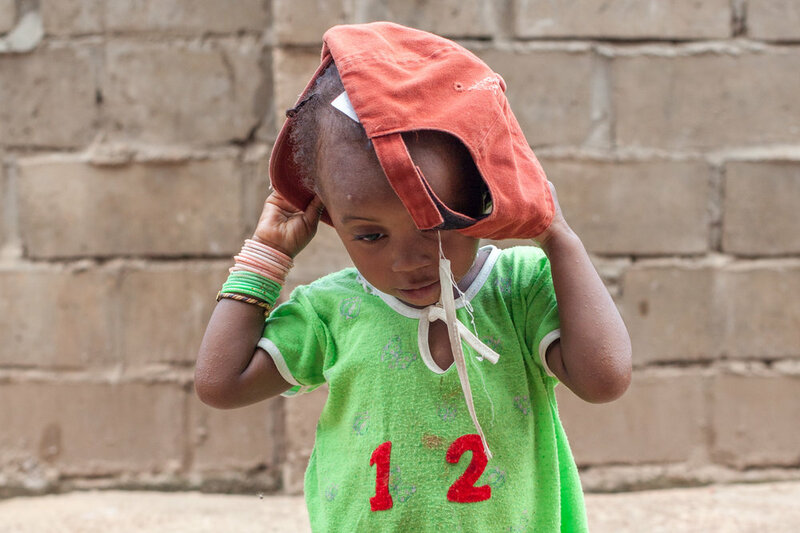 Camera shy child in The Gambia. Candid portrait in West Africa. 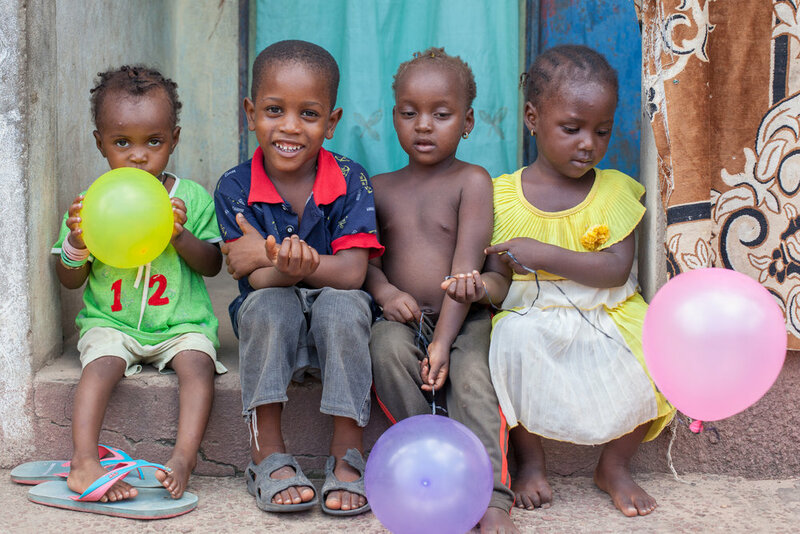 Happy children in The Gambia. 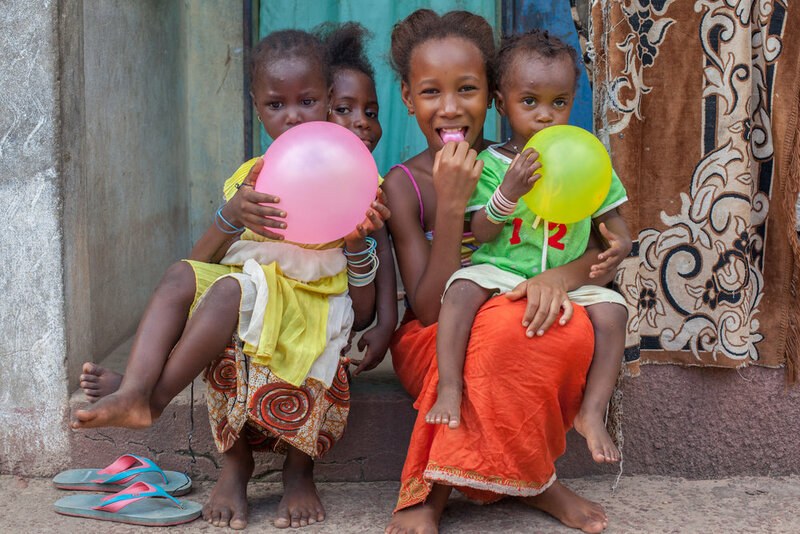 Geraint Rowland Photography in West Africa. Candid street photography in The Gambia. I wrote a previous blog titled, 'Black and White Portraits in the Gambia' of some portraits I took outside of a friend's traditional Gambian home. This blog contains some of those photos in colour which adds another element to the images especially the first one with the colourful textiles. The image of the boy in the mud/sand was taken on the shore at the fishing village in Tanji. All of the above travel portraits were taken with a Canon 5D2 and a 50mm 1.4 prime lens using natural light only. Some of the images were taken candidly whilst others were posed. The Gambia, officially the Republic of The Gambia, is a country in West Africa that is completely surrounded by Senegal except for it's coastline on the Atlantic Ocean. Despite a third of Gambians living under the poverty line, the people there are extremely friendly and welcoming. In fact The Gambia is often referred to as the 'Smiling Coast of West Africa'. I would love to return to the country and travel down the river.